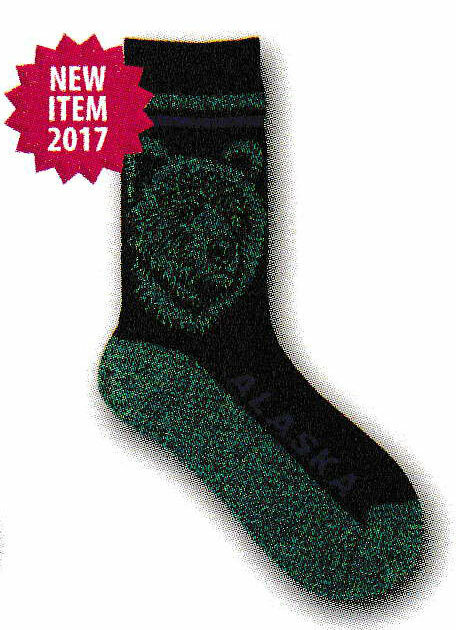 These Alaska socks are sure to keep your feet warm. Made from 33% Cotton, 25% Nylon, 24% Acrylic,16% Polyester and 2% Spandex. Colors are blue, green & black with images of a grizzly bear in silhouette. Blue text reads ALASKA.